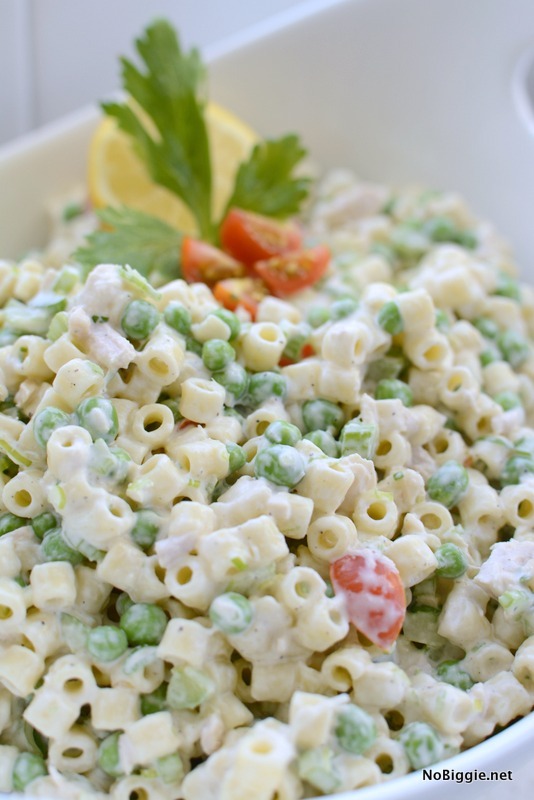 Classic Tuna Pasta Salad perfect for BBQs and family get togethers. 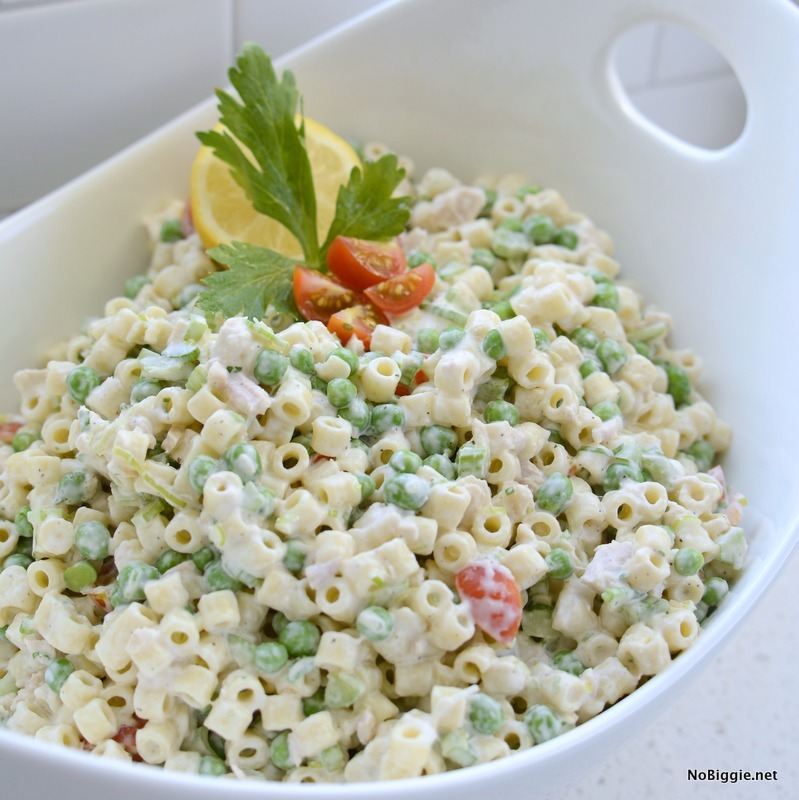 You’re going to need a delicious side salad to bring to your next BBQ, and you can’t go wrong with a classic like Tuna Pasta Salad. This salad can be made the night before, which is great for those busy Summer days. Celery salt, lemon juice and pickle juice make this delicious classic totally addictive. 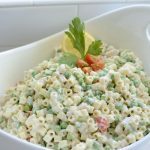 Don’t miss our other pasta salad favorites, perfect for Summer BBQ season, like the shrimp pasta salad, BLT avocado pasta salad or the caprese pasta salad. I love the ditalini pasta in this salad. Cute little short tubes of pasta, sweet peas, tuna chunks and the crunch of small bits of celery, make this salad so packed with flavor. It’s the kind of salad I could eat for lunch all week long. Here’s the ingredient lineup. The homemade dressing is so good, and you probably have all the ingredients at home right now! It’s a great addition to your Summer BBQ plate! Cook the pasta according to the directions on the package to al dente. Drain and cool the pasta. 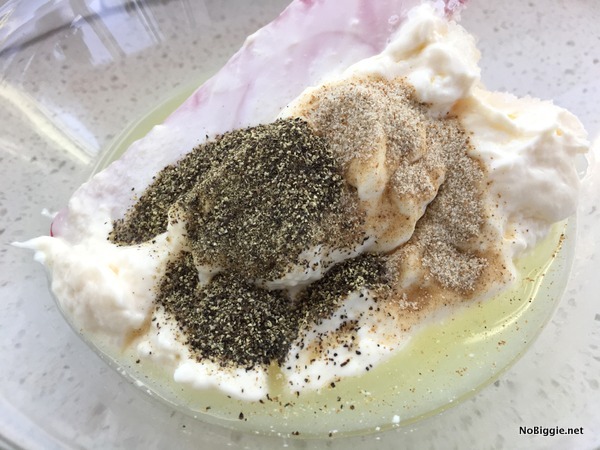 Mix together the dressing in a small bowl. Fold in the dressing to completely cover it all. Chill before serving. This salad can be made ahead. 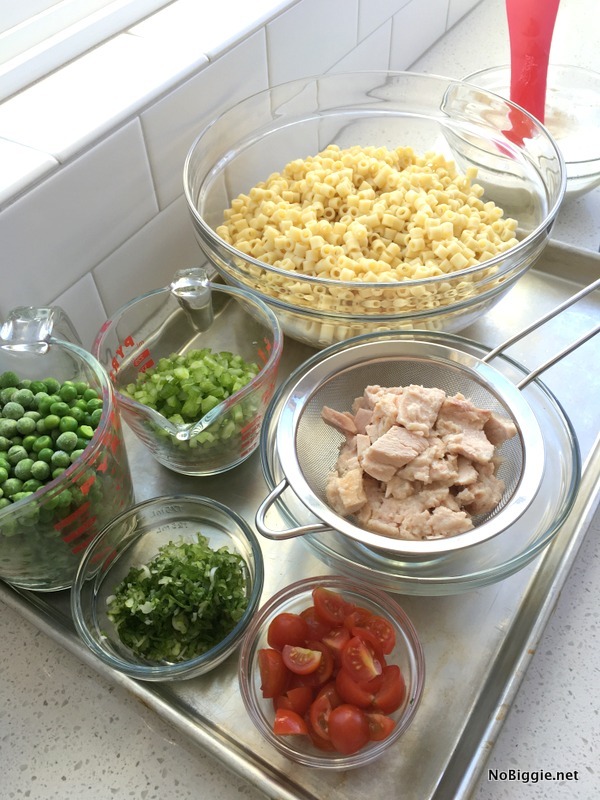 This looks great….What size cans of tuna are you using for this recipe? Thanks Angie! – Each can is 5 ounces. You could also do one 12 ounce can.